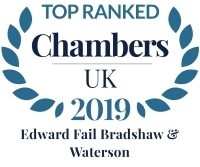 ​Jennifer joined Edward Fail, Bradshaw & Waterson in January 2016. Jennifer quickly attained Duty Solicitor status within the firm and is a regular advocate within the East and South London court circuits. 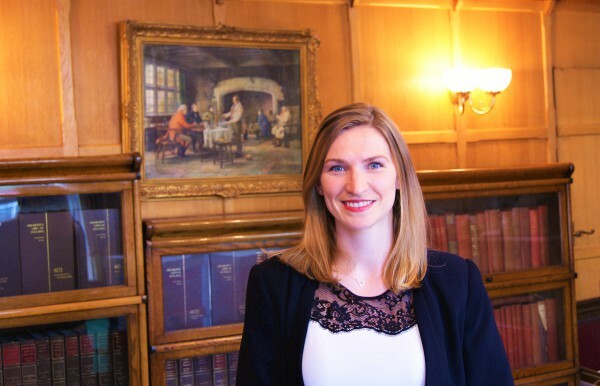 Jennifer’s education and training is specialised towards working within criminal law. After completing university in Nottingham she moved to London to complete her professional studies at The College of Law. Jennifer thereafter gained experience as a paralegal and police station representative within a respected firm in North London where she assisted in the defence of numerous individuals charged in the wake of the August 2011 riots. Jennifer began her formal training at an East London criminal firm, where she took a keen interest in youth defence and the needs of the young and vulnerable. Jennifer qualified as a solicitor in September 2015. Through her career to date Jennifer has represented adults and youth defendants accused of a range of offences from assault, drugs and driving offences, to fraud, conspiracies, gang-violence and murder. She recently represented a client accused of offences under the Terrorism Act, advising and representing him over 10 days of phased disclosure and questioning. The case has been heavily reported in the mainstream media. Jennifer is also a contributing author to the Blackstone’s Police Station Handbook 2015 (Oxford University Press). Jennifer has conducted legal update lectures, most recently at the inaugural Young People's Legal Rights Conference hosted at London Southbank University. Jennifer is hardworking, efficient and approachable, and has a keen eye for detail in all aspects of her practice.